(well, it’s really a side door, but that seems so awkward to say). But, I’ve neglected this door for far too long. 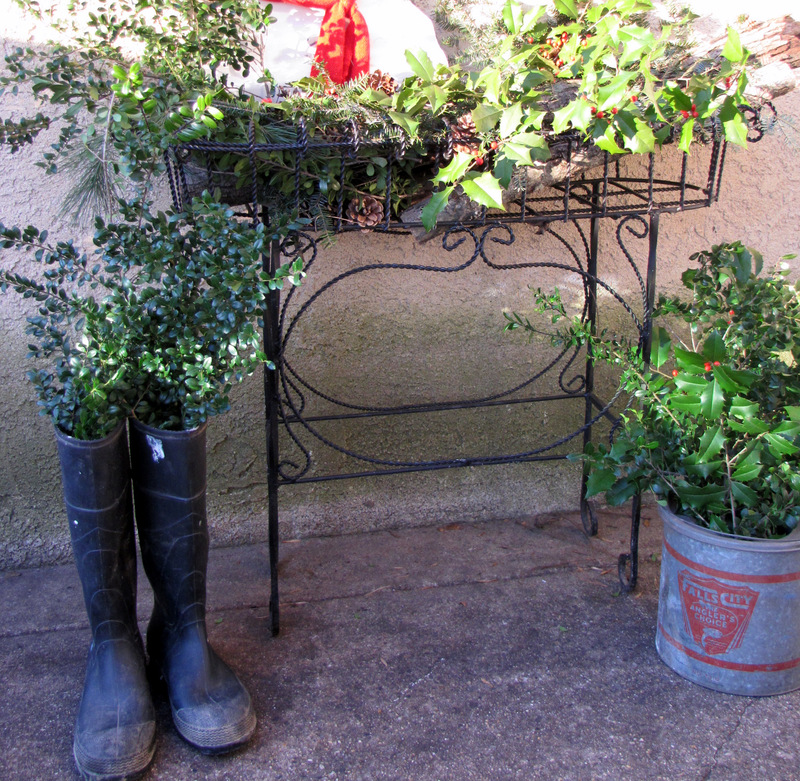 So I’m sprucing it up for Christmas with some simple things I have laying around the house. I purchase nothing to create this back door scene…really, nothing. 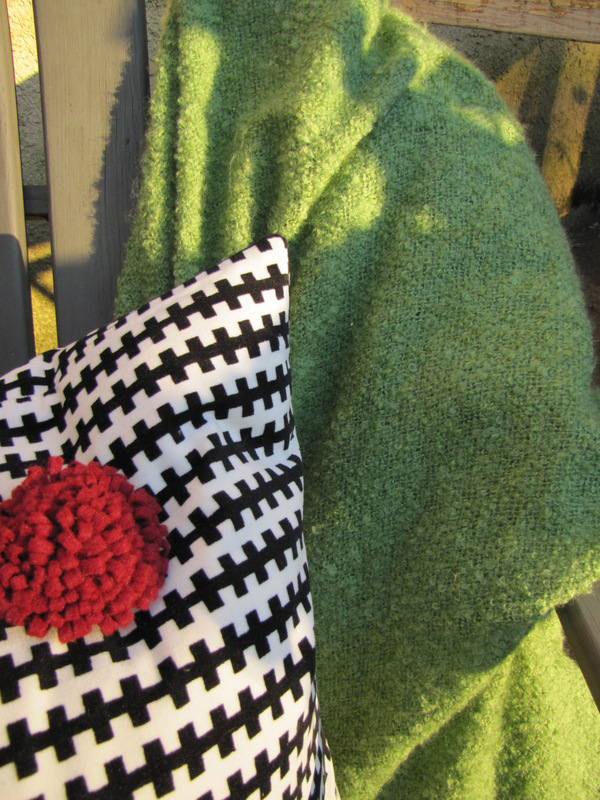 I fluffed up an old chair with a throw and this black and white IKEA pillow. 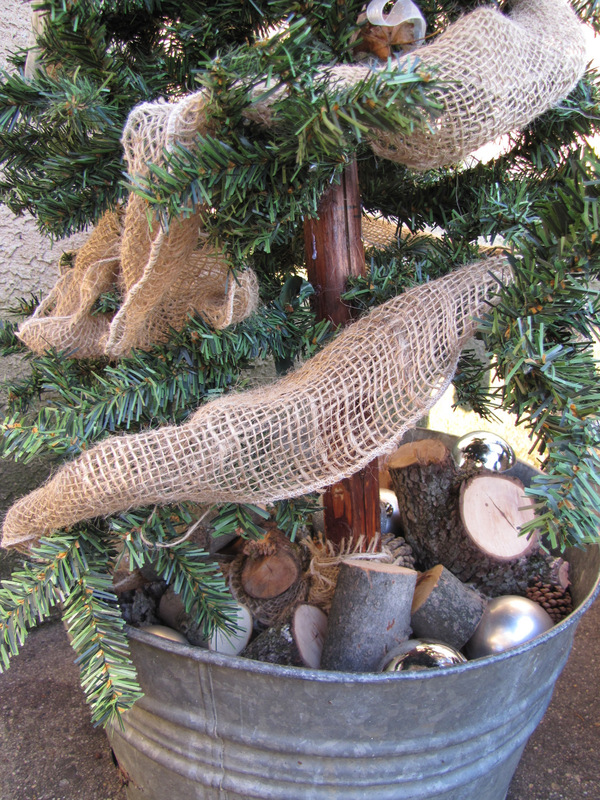 The tree is wrapped in burlap and white ribbon. along with a few ornaments. 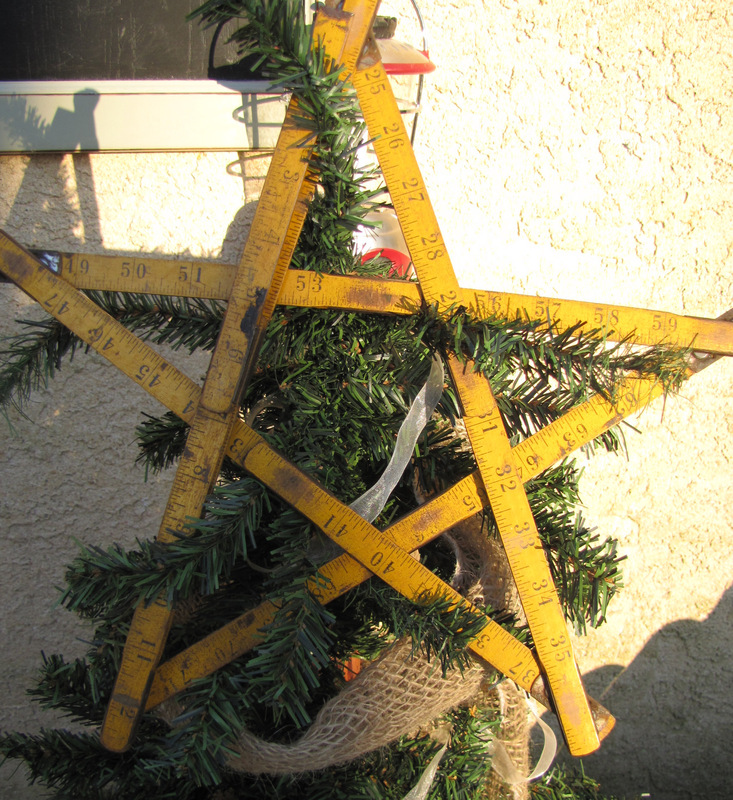 One of my favs…the yardstick star. I even added a felt flower pin for a pop of red. 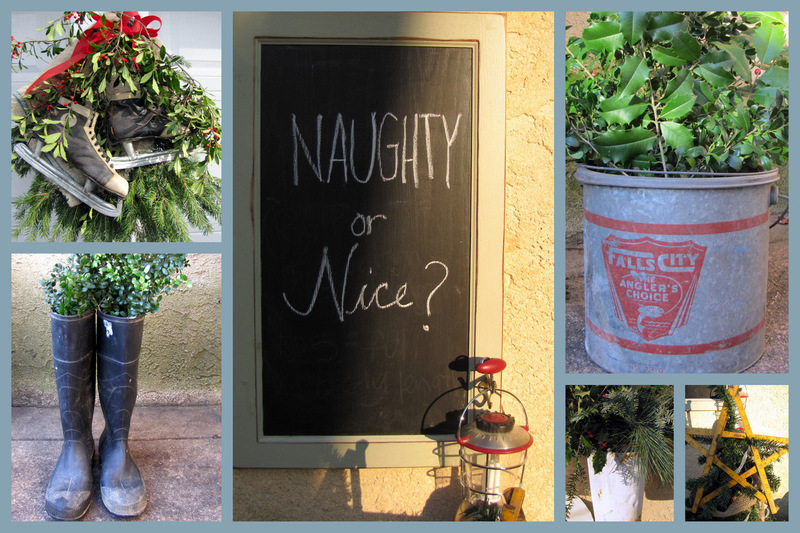 I layered a little of this and a little of that, tied it all together and created this swag for my garage doors. 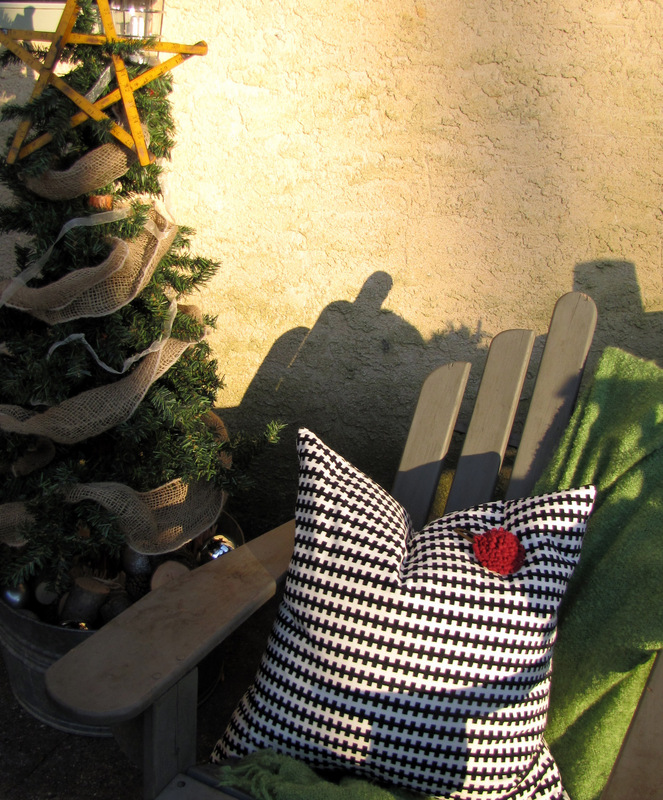 How great that you were able to create such a simple but pretty area as you enter and leave your home. This looks wonderful, Denise! 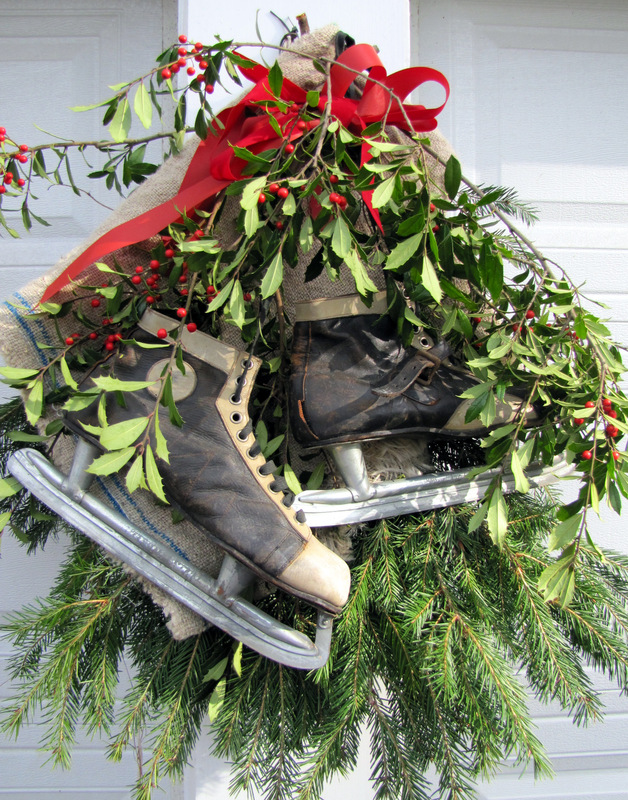 I love those old boots and skates! Everything looks festive and fun! Love every little bit of it!! Effortless and gorgeous!I love it all. 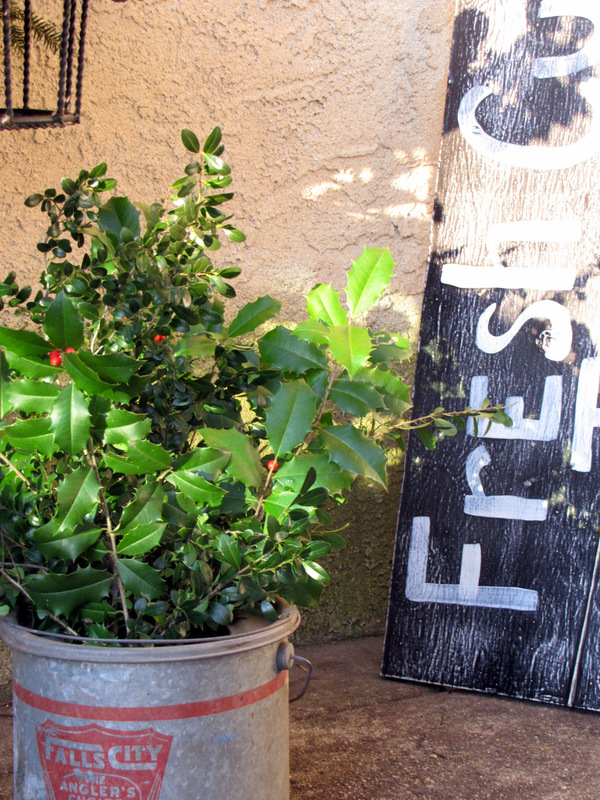 I had hoped to use greenery with berries from my yard to wrap up my kitchen decor today but the greedy birds have eaten almost every last berry. I guess that makes my heart happy, too and I did find a few they missed on the bottom of the bushes. beautiful! i love love love those ice skates!! merry christmas! heart, heart, heart the yardstick star! So pretty! 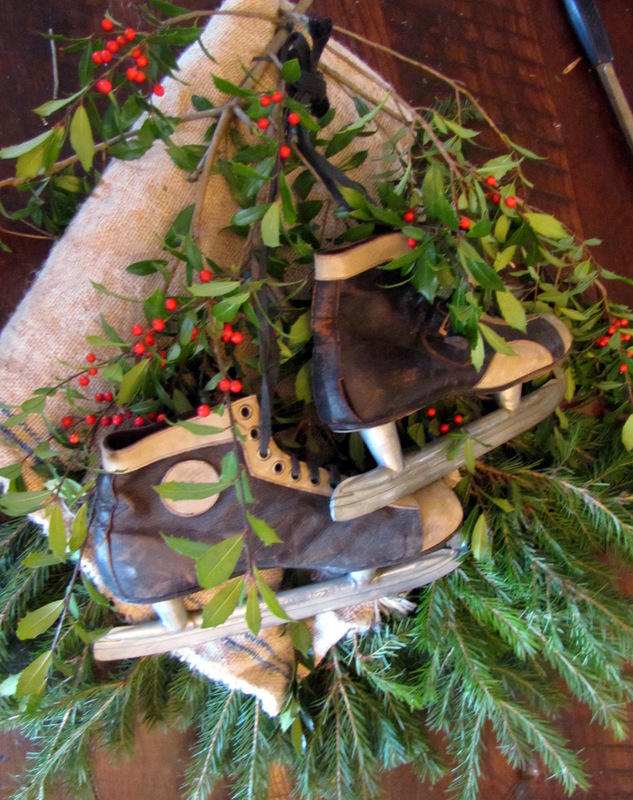 I found the ice skate swag on Pinterest, now I'm looking forward to the rest of your home! Thanks..